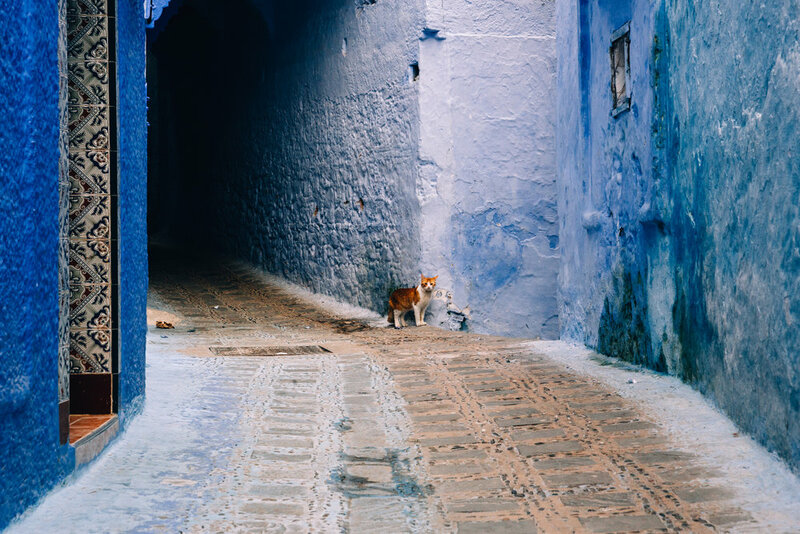 Chefchaouen is perhaps the most Instagram-famous city in all of Africa. Though for all its vivid splendor, it was nearly a place I didn't get to fully experience. 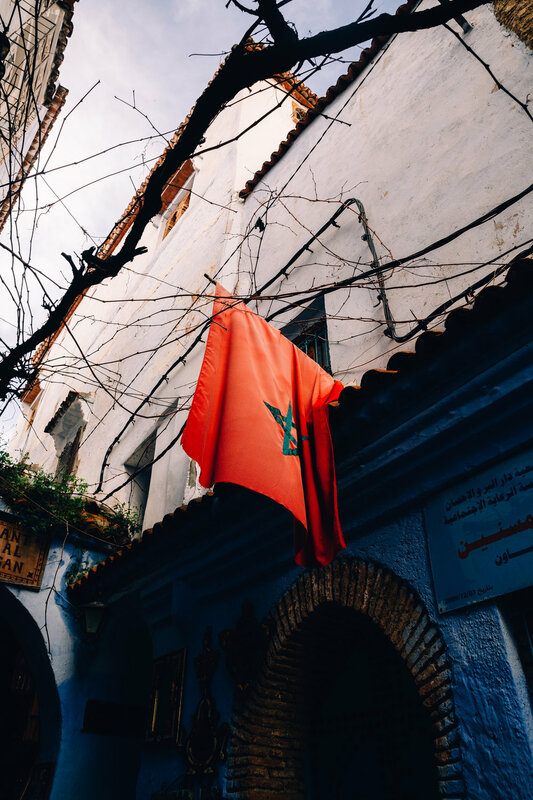 With only two days in Chefchaouen, it wasn't until the last hours of sunlight on my final day that I finally got to really explore. 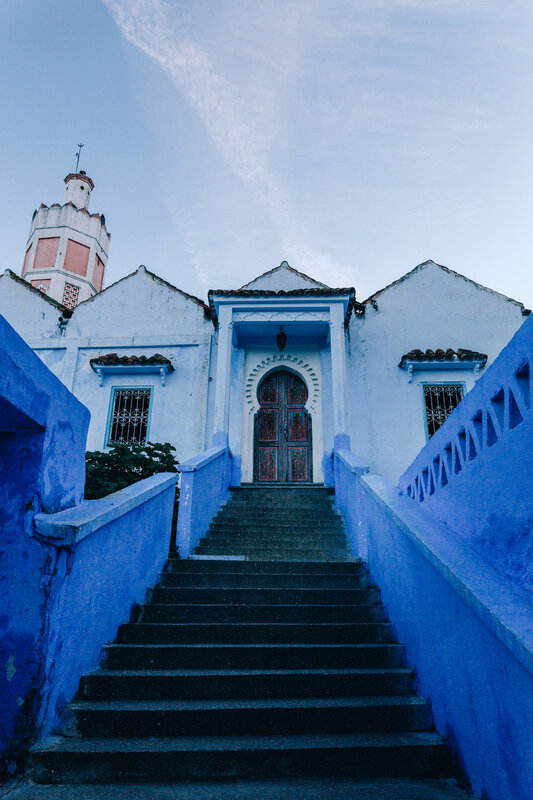 However, what I can write about the blue walls is nothing that has not already been written on countless blogs around the web. With that being said, the last part of my experience is probably a bit different than the typical tourist. 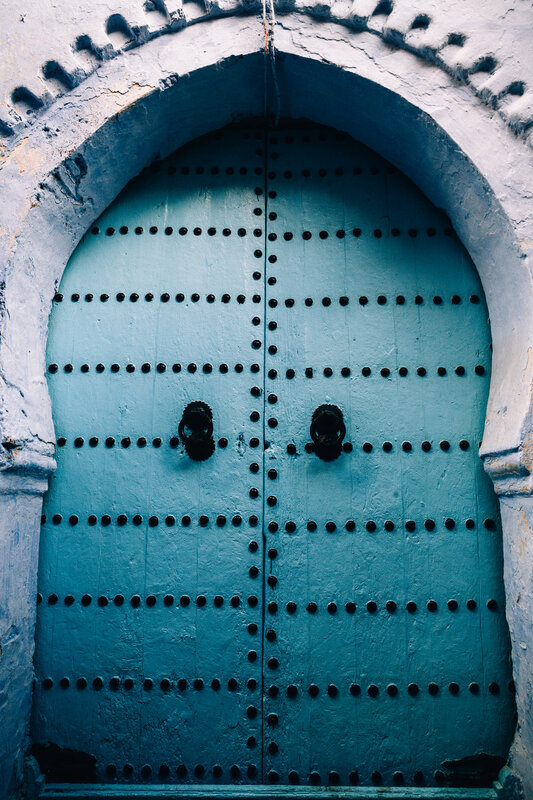 Chefchaouen is more than just what is typically seen pictures. The well-known blue section is but one half situated at the top of the entire town. Below, locals keep to themselves with a section seemingly of equal size that seems to be mostly ignored by tourists. With time to spare on my journey down to the bus stop, I ventured off the typical tourist path. In sync with the sun having just set, I exited the blue walls and found myself at a corner of a large plaza. Likely the only tourist around, I scoped the scene. To the left, a long table filled with spices. To the right, a stand full of children's toys. The edges of the plaza were sporadically filled with men enjoying each others company. In the center, young boys kicked around a soccer ball as mothers convened at the nearby benches. Away from the throngs of outsiders, there were no preoccupations of fulfilling a tourist's needs here. On the opposite side of the plaza was an entryway I chose to arbitrarily roam through. What came next was something quite interesting to me. Lined up on the sidewalk on the opposite side of the street were women selling bread. The bread appeared to all be the same, yet over a dozen women stood side-by-side selling to every person walking past. No meat. No veggies. No dips. Just stacks and stacks of circular, puffy flat bread. As I kept walking down the hill, I stumbled upon another surprise. Strolling under a pitch black night sky down an empty street, sounds and lights in the distance caught my attention. Through an empty lot and behind apartment buildings, I discovered a cement field for soccer. Organized with colored pennies, grown men enjoyed one of the country's most popular sports. With a bus to catch, I didn't watch long. Just having the knowledge of its existence made an impact on me. In a town that appears to cater heavily towards tourists on the surface, the reality is much different.